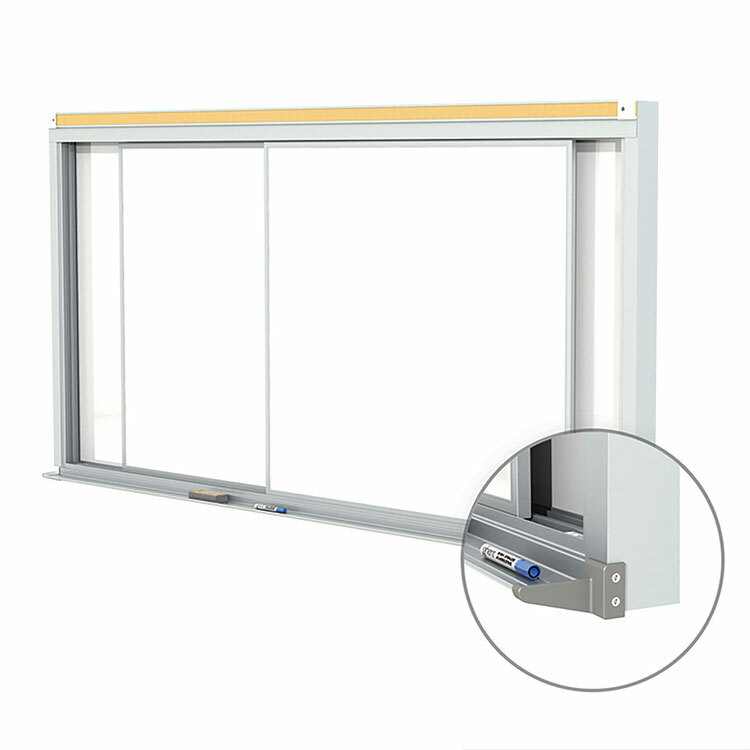 Horizontal Slider Whiteboard provides multiple whiteboard panels for easy continuous communication. This two-track, manually operated unit doubles the amount of usable space with its fixed back panel and sliding panels. Doubles amount of usable space with fixed back panel and two sliding panels. Top-suspended panels glide on nylon rollers for smooth operation. Porcelain-on-steel creates durable, high-performance surface that resists scratches and stains and accepts magnets. 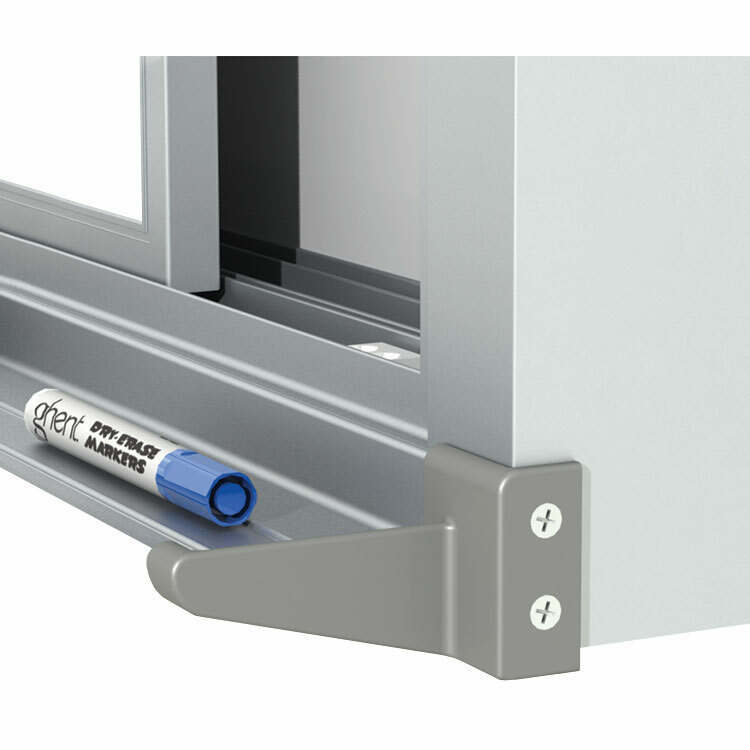 Constructed with heavy-duty anodized aluminum trim. Includes 2” natural cork maprail. The panel system provides multiple dry-erase whiteboards to serve a multitude of needs on double the writing space. Two top-suspended panels glide on nylon rollers for smooth transition to the next board. The porcelain-on-steel writing surface is warrantied for 10 years to resist scratches and ghosting. The writing surface also accepts magnets for added functionality. Heavy-duty anodized aluminum trim and 2" natural cork maprail complete the board. 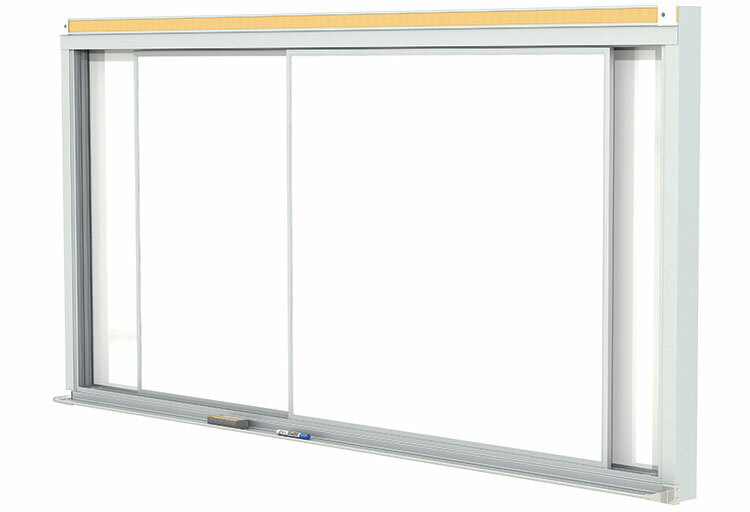 Ghent’s Horizontal Slider provides a panel system with multiple dry-erase whiteboard panels to serve a multitude of needs, doubling the usable space. 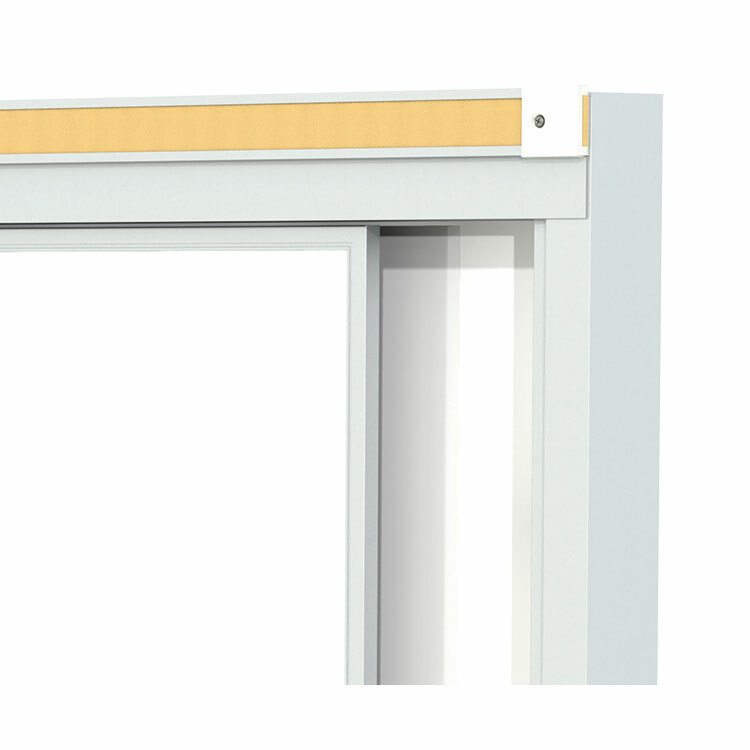 Two top-suspended panels glide on nylon rollers for smooth operation. The porcelain-on-steel writing surface creates a durable, high-performance whiteboard. It accepts magnets and resists scratches and stains. The board is constructed with heavy-duty anodized aluminum trim and includes a 2” natural cork maprail. Porcelain writing surface carries Ghent’s 10-year guarantee.